“Over one trillion disposable cups and bottles enter our oceans and landfill sites every year”. This year, for the first time ever, it seems as if the world has woken up to the devastation of plastic waste and the damage every day items containing disposable plastic is doing to the environment. There have been countless images and films of oceans covered for miles with plastic bottles, cups, straws and other litter. This is killing our entire ecosystem – sea creatures are being poisoned by plastic toxins, or physically choking themselves on litter. Underwater ecological systems are being shielded from crucial sunlight by large areas of floating plastic debris and even our drinking water contains small amounts of plastic which we ingest, poisoning our bodies. So what is the solution? Nothing can change unless we all, as individuals, start to make small steps towards change. One tremendous company helping people to do that is Climate Cups. They sell reusable coffee cups (also usable for tea or other kinds of drinks) and reusable water bottles. The great thing about these products is that they are collapsible so they don’t take up all the space in your handbag and can neatly fit in your pocket. 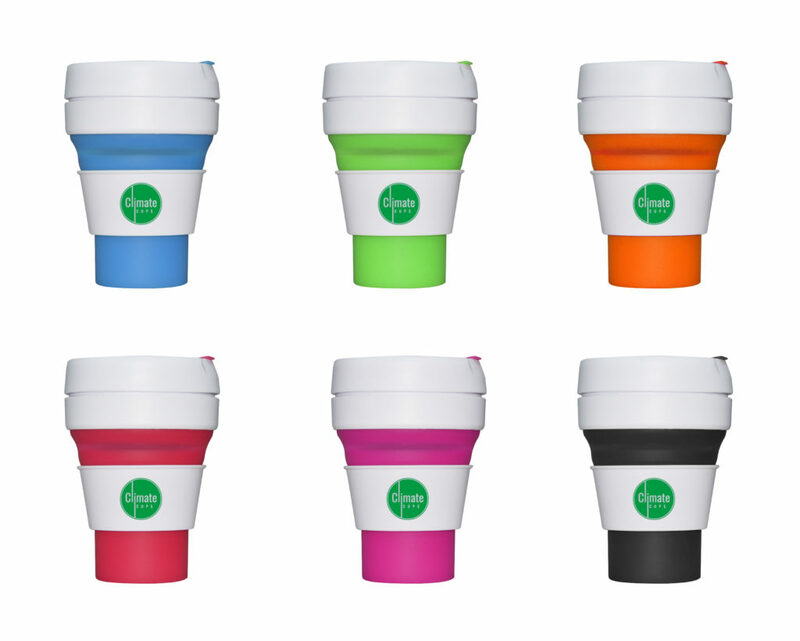 Cost effective – they say that almost all major coffee retailers such as Starbucks, Pret and Costa give discounts when you use your reusable cups. For example, you would make your money back on the cup with just 20 uses in Pret (they give 50p off each time). They hold 12oz (355mls) or the equivalent of a “tall” Starbucks. On their Instagram (@ClimateCups) there are loads of pictures of people drinking cocktails / other drinks from them. Can be used for any drink! Has an attachable clip which can attach to my backpack when travelling. The lid can be easily locked to ensure no spillage. BPA free and completely recyclable. No taste of silicone – I was worried about this as it’s a pet hate of mine but there is absolutely no taste or smell from the bottle. I’m pleased to be able to award Climate Cups a very rare 5* out of 5* – it’s great that there are companies out there making a real difference!